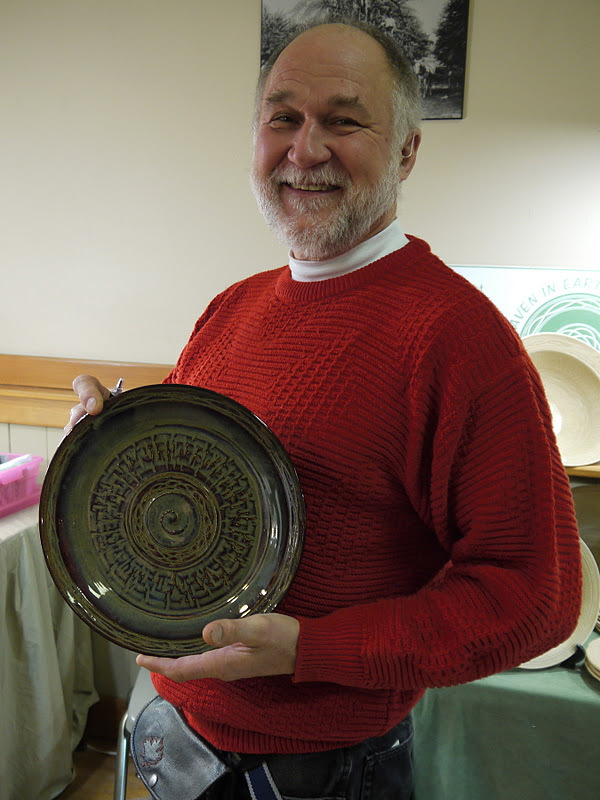 As you can see by his infectious smile and twinkling eyes, potter Stephen Plant has a joy for life that makes it a real pleasure to be in his company. 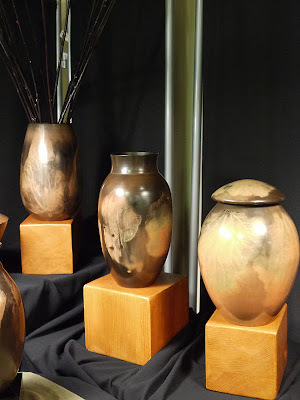 During the short time we spent together at the Okanagan Potters' Show this morning, we covered a wide variety of topics from 1930's German film scores, to elder care and astrology. We also dabbled in music therapy, Oliver Sachs, opera, and engineering. Stephen was inspiring, enlightening and encouraging. (And those of you who know my dad will surely see a slight resemblance). It was an unexpected gift to meet him today. 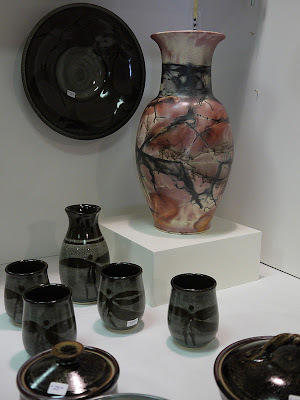 Another of my favourite artisans at the Mission Hall show was Naramata potter James Hibbert, whose work I have admired and purchased since I began attending this yearly sale ten years ago. James will be at the Naramata Heritage Inn next Sunday for another pre-Christmas sale so if you missed this weekend, you can catch him there. The third potter to round out my trio of favourites is Lynda Jones. I noticed her work a couple of years ago. It was the first smoke fired pottery that I'd seen and she has some really stunning pieces. 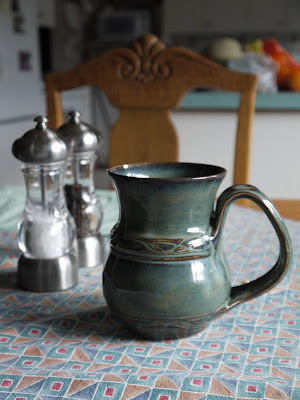 I couldn't leave without purchasing something and I was drawn back to the rich blues and greens of Stephen's Heaven In Earth Pottery. I treated myself to a Celtic patterned mug that I'm sure will soon become a favourite for coffee, tea or soup. Pottery is amazing. I find it fascinating to take a lump of nothingness and make it into beauty with purpose. You too are an unexpected gift. You're very kind Stephen, hope to see you again soon. Seriously, I have Harry Potter overload. I saw this post on your sidebar and read it as Harry Potter. Sad, so sad. I've got two more weeks of Harry Potter posts from the party then I am D.O.N.E., done! Absolutely loving your Harry Potter posts. You guys get my vote Mom and Dad of the year for that party!